The WWE Network is about to unearth “relics forgotten to time” and “classic hidden gems”. A series of content worth your attention, featuring unreleased and scarcely-seen footage dating back as far as the 1950’s, is slated to go live tomorrow morning, Tuesday, September 6th, 2016 — the same day another new Collection will debut; this one on the late, great Eddie Guerrero. 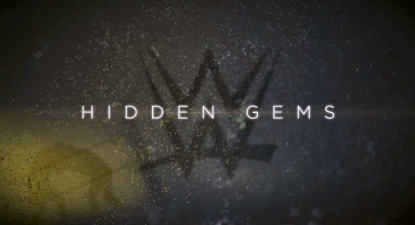 Staying true to its name, “Hidden Gems”, WWE’s latest Collection will present 15 pieces of content – a list full of goodies not previously available on the service! With gems that reach into the vault as far as the ’50s and ’60s, with content from the AWA, NWA, Smoky Mountain Wrestling, ECW, FCW (and more! ), now is the time to take notice of the Network’s Collections section. WWENetworkNews.com has revealed the full content listing planned for it – go take a peek. Journey deep into the archives, and dust off these Hidden Gems in a collection available only on WWE Network. Whether it’s Lou Thesz facing Ray Gunkel from the 1950s, or Bret Hart taking on Terry Funk in a rare ECW match, this collection has a little something for everyone. From the early days with Gorilla Monsoon, Gene Kiniski, and Andre The Giant, to modern day rarities with Seth Rollins, Stone Cold Steve Austin, and more, experience a potpourri of forgotten classics. It doesn’t stop there as also about to hit the WWE Network is a new Collection showcasing the career of a wrestler always in our hearts – Eddie Guerrero. Expect to find almost 20 pieces of content taking you through Eddie’s career in ECW, WCW and WWE, culminating with winning the big one against Brock Lesnar in 2004 and his Championship celebration on SmackDown. From his trademark grin to the endearing motto “Lie, Cheat, and Steal”, Eddie Guerrero’s versatility left an indelible mark on the WWE Universe. Celebrate a life that was taken from us all too early, as we journey through the Hall Of Famer’s one-of-a-kind career in this WWE Network Collection. From his memorable battles in ECW and WCW, to his ultimate triumphs in WWE against Brock Lesnar, Chris Jericho, and Kurt Angle, one thing is for sure, Eddie Guerrero will never be forgotten. As you can see on our WWE Network Schedule, these anticipated Collections will be joined by other new content streaming this week the likes of Talking Smack, the Cruiserweight Classic, the Backlash PPV, and of course not forgetting any quiet Updates in the background. Watch Collections, hidden gems, and the upcoming Backlash 2016 PPV on the WWE Network. Your first month is completely FREE! Click here to subscribe to the WWE Network. I wanna see more hidden gems from Mid South Wrestling that didn’t make the bluesy or DVD set. The Last Battle Of Atlanta. I’ve heard about this match for decades, but the presumption has always been that no footage of it exists. Great job by WWE to find this. Looking forward to this. Yeah, I’ve heard/read there was no surviving footage of this match. I did read recently that Ole Anderson had a copy of the match. I’m not sure how WWE got the tape, but if it’s the entire match unedited it’s a true find. Collectors have been searching for footage of the match for years, as you probably know. I think WWE purchased the Georgia library from Ole a while back. It’s possible this match was buried in there somewhere and they just came across it. Regardless of how or where they got it from, I’m just glad they did. Now if by some chance they can find footage of Bruno beating Buddy Rogers for the WWWF Title or Tito Santana beating Muraco for the IC Title then that would truly be a miracle. I read that Paul Ellering might have had a copy and seeing he is in NXT managing Authors of Pain and his daughter also in NXT, wouldn’t surprise me if WWE bought it off him. I hope the Hidden Gems collection gets released into a Blu-ray someday with even more content. I wish I could post my fantasy concept about it and have people critique it. Yeah, it’s called Unreleased 1986-1995 and it will be a DVD as well.